"Do All With Love. Even a Pinch will do." Happy Birthday: Gimmie Some Sugar! Happy 1st Birthday Gimme Some Sugar! 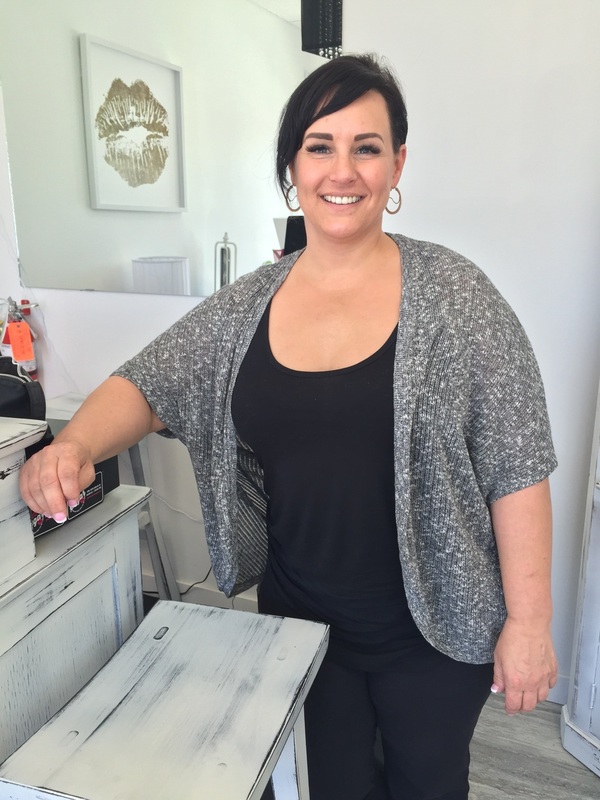 After years of a nomadic lifestyle while growing her business and with over 10 years of hair removal experience, entrepreneur Maika Schulz and her beauty boutique Gimme Some Sugar has finally found its own permanent home in beautiful Calgary! 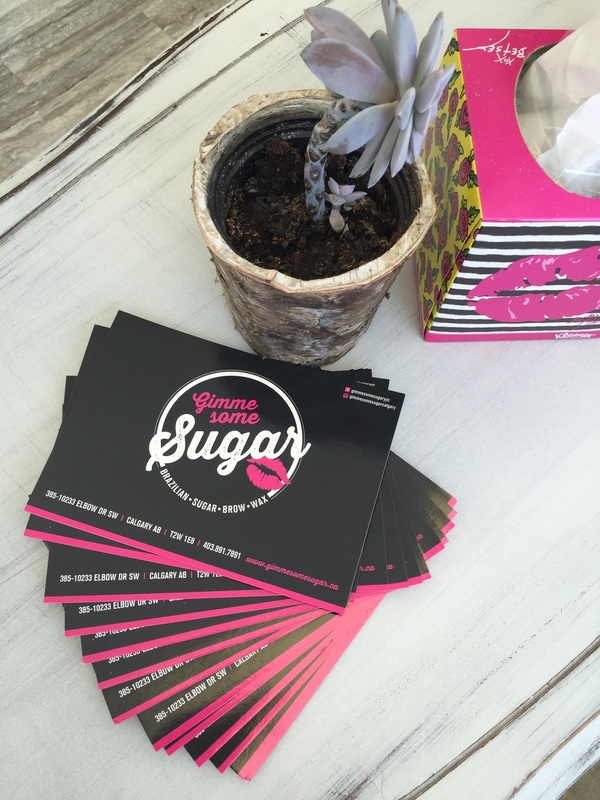 I found Gimme Some Sugar 4 years ago when I was looking for a better alternative to naturally removing unwanted hair. I wasn’t pleased with dealing with waxes, chemicals or the idea of having to spend thousands on hair treatments…so after some research on what exactly ‘sugaring’ was, I booked my first appointment with Maika the sugarista and experienced how absolutely wonderful being sugared was compared to anything else I've tried in the 'hair removing realm'! @Nikitaromane, @Maika_gimmesomesugar & myself @lov3stia : for a beautiful afternoon interview. "I was working at Westjet (in Winnipeg) at the time. I was a client of a wax technician there and a friend had suggested that I try the sugaring and simply fell in love. Soon after, I had transferred here (to Calgary) with Westjet. Transferring here, I was going through a divorce and wanted a fresh start. I started sugaring from home, very part-time. Myself, my sister and a few friends made up the clientele. Then it got busier so I slowly began working less Westjet hours and putting in more sugaring hours until I got busy enough that I could quit Westjet all together. I worked out of my home for 5 years. June (of 2016) will mark 11 years that I’ve been sugaring now. I have 8 people on staff. All of my staff members are actually long time clients. It has never been about the money for me. I believe in “Build it, and they will come” I don’t want anyone here who doesn’t love what they do. " Pictured above is one of the rooms where all the magic happens. By magic I mean services such as: Sugaring (For ladies & bros aka the Brozillian! 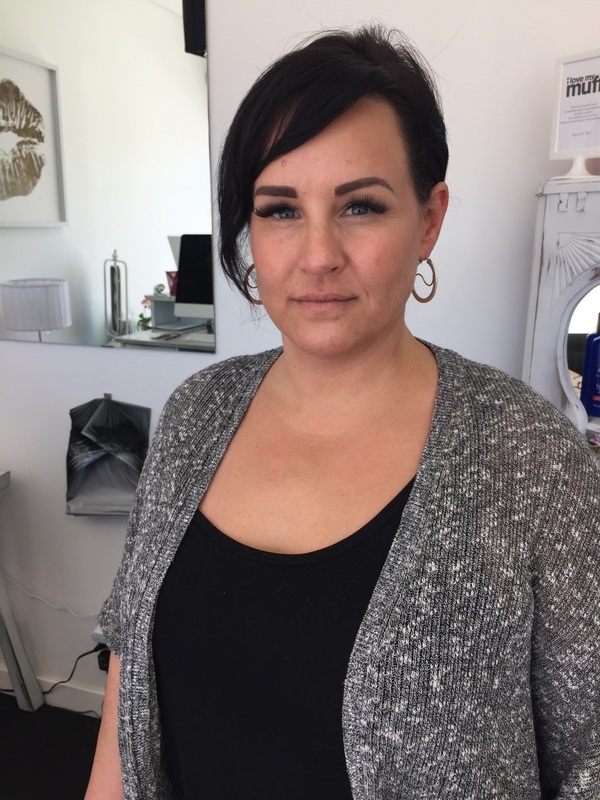 ), waxing, microblading and lashes! There are a multitude of products that Maika so proudly displays in her shop. Everything that we've picked up and sniffed had beautiful packaging, perfectly catering to the branding of Gimme Some Sugar. For your chance to explore their products and provided services check out their : Anniversary Special Promotions below! $10 extra on every $50 spent to a max of $200. Minimum of $50. Only to be used on future services.💋"
Now you’ve heard about people who are so passionate about what they do, that you simply cannot help but be inspired by them. Maika is one of these people. She believes so fiercely in empowerment and the simplicity of making someone feel good about themselves. For bubbly Maika; this is power. That is how she defines success. Pick one, maybe 2 things and make sure that you do them really, really well. If you don’t love what you do, then do something else." Happy Birthday Gimme Some Sugar, may your team & you have many more fabulous years of celebrating to check off! As you all may or may not know, I have recently challenged myself to 30 days of a 'pescotarian' lifestyle. (AKA: I eat like a vegetarian but I also include seafood) Rather than going out to a traditional grocery store that is very limited in fresh produce, I decided to give Spud.ca a go. A couple weeks ago, I attended the spud.ca open house and found myself falling in love with their values and way of life, so I wanted to share with you; my 6 reasons to make the switch to spud.ca! Now... I don't know about you but I LOVE knowing where my food comes from. With my brief studies in nutrition, I've learned to become more aware of what I should or shouldn't be putting in my body. Food is fuel and like a car, it's important to choose the right 'fuel' for the vehicle, and in this case... our body is the vehicle that carries us through life. SPUD's commitment of only offering quality, organic, wholesome products and produce can give you peace of mind and confidence with the food you're choosing. For reference, click here to see their "List of Banned Ingredients". I'm taking my grocery time back and turning that into whatever else I wish to do now (more happy cooking time is one thing on my list to start)! Most of my friends take a solid 3+ hrs to drive, shop, drive, unload, cook each week, but now with SPUD I have it delivered directly to my house with love and care once a week, and its just a wonderful thing. In addition, shopping with SPUD allows me to better budget my spending on groceries. For anyone who is wondering if the price VS value is comparable due to the home delivery option... I found most items were priced on par, if not they are just the tiniest bit more expensive because of their organic/non-gmo (which is typically more expensive in general). When I calculate together the time I save because of this subscription and how it supports my budgeting, it all evens out and I still remain on the happier end of things with the saved time. Being able to shop online also means fewer impulse buys so that I can stay on-track with my health and budgeting goals. Seriously, meal planning can be so much easier now because you get to coordinate the ingredients you purchase to what you want to make. A problem that I have had in the past, is envisioning my meal only to be disappointed with the shopping experience. This usually ends with me having to go back to the drawing board or settling. I'm not stoked for either or... so instead, I get to look at their list of seasonal produce and gain the benefits of "eating seasonally". Did you know in-season produce is fresher, sweeter and has a higher nutritional value and better flavor? I love True Buch SO SO SO MUCH and I am so happy to have met them at the open house! They are a local kombucha brewery in Calgary which offers refillable kombucha around the city when you purchase one of their beautiful glass bottles (available in 33 oz or 64 oz) . For less than $11-20, you can have a week+ worth of kombucha instead of a bottle at a time! VIABAR : organic superfood bars of goodness to keep your energy flow throughout the day! Gluten free, high source of fibre made with raw seeds and grains. LIGHT CELLAR : curator of superfoods all around the world, available to deliver to your door. Do you know how many nutrients are in these tiny little micro-greens?! SPUD is resourceful and supportive of a multitude of different "organizations" in and around the city. During my tour at SPUD's Calgary office, I learned that the delivery bins that contain your orders have a dual purpose! They are also used to collect clothing, toys and other household items to be delivered to neighbourhood charities in need which makes my heart go 'Yay!'. When I used to work in the food industry, it often broke my heart when I witnessed a ridiculous amount of 'food waste' that went on behind the scenes. I mean, in the business aspect in America, I understand why - however being someone who just never 'got used to' the idea of food waste, it really doesn't sit right with me. SPUD realized that and set up a program where local food banks are on the receiving end of items that don't meet their 100% consumer guarantee. Whatever does not make it to your doorstep or to a food bank finds itself in organic compost which is then returned back to local farmers for use! All the pictures on Lov3stia.com are protected by copyright, pictures can also be used with prior consent of Esther Lam and they have to be linked back to this blog. It is forbidden to use pictures for commercial reasons.